Online Application Details for Hyderabad City Police Recruitment of 150 Home Guard (Men) Technical (Driver) is given below. Candidate's minimum education qualification for the Vacancies in Hyderabad City Police should be Passed class 7th examination or equivalent. with valid LMV/ HMV license. 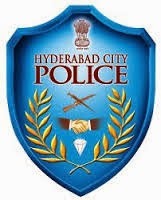 Application form and duly attested documents are to be sent to Hyderabad City Police head office located at- Hyderabad, Telangana. In envelope super scribed with 'Application for the Post of Post Name'.